While the currently married Dr. Watson is paying Holmes a visit, a visitor arrives, introducing himself as Count Von Kramm, an agent for a wealthy client. 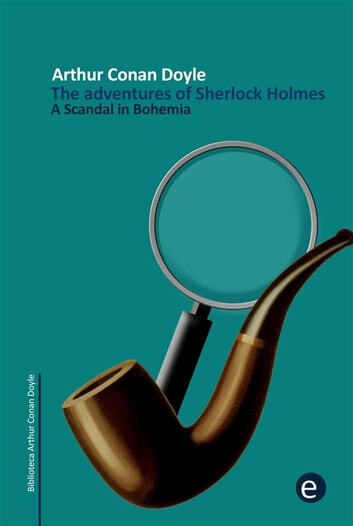 However, Holmes quickly deduces that he is in fact Wilhelm Gottsreich Sigismond von Ormstein, Grand Duke of Cassel-Felstein and the hereditary King of Bohemia. Realizing Holmes has seen through his guise, the King admits this and tears off his mask. It transpires that the King is to become engaged to Clotilde Lothman von Saxe-Meiningen, a young Scandinavian princess. However, five years previous to the events of the story he had a liaison with an American opera singer, Irene Adler, while she was serving a term as prima donna of the Imperial Opera of Warsaw, who has since then retired to London. Fearful that should the strictly principled family of his fiancée learn of this impropriety, the marriage would be called off, he had sought to regain letters and a photograph of Adler and himself together, which he had sent to her during their relationship as a token. The King's agents have tried to recover the photograph through sometimes forceful means, burglary, stealing her luggage, and waylaying her. An offer to pay for the photograph and letters was also refused. With Adler threatening to send them to his future in-laws, which Von Ormstein presumes is to prevent him marrying any other woman, he makes the incognito visit to Holmes to request his help in locating and obtaining the photograph.